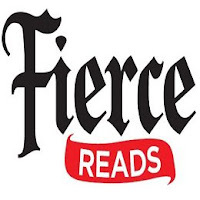 Book Adventures: Fierce Reads Feature + Food + GIVEAWAY! Fierce Reads Feature + Food + GIVEAWAY! 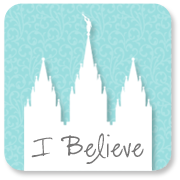 Last Tuesday was the Fierce Reads tour stop at the Provo City Library and I was able to attend the blogger meet n' greet before the official presentation. What fun! The five author ladies, published through Macmillan, are wonderful and fun and meshed well with one another. I asked two questions (shown below) that two of the authors later said were very good and unique. I think I blushed. If you would like to win an official, autographed Fierce Reads tour poster + 5 bookmarks, please enter the Rafflecopter form below! What is your criteria for young adult literature? What makes a good YA book? * Action in the plot. * Book must deliver on story premise. * No jaded misdirects. The authors aren't trying to confuse you. * Risk taking. Readers can take more in YA because kids are open for anything. There are so many creative things. I like someone to take things to next level. I like game changers. My favorite is Little Brother by Cory Doctorow.I want something to change the way I think about society. * Open-mindedness. YA readers are willing to suspend disbelief. * I personally need some romantic/sexual tension. * Diversity. Anything goes. A YA story can be a mash up of so many genres. * YA is a gateway drug into other genres [markets] but it holds to the same standards. * It has to grab me and not let go. This could be in either a full-throttle or evocative way. 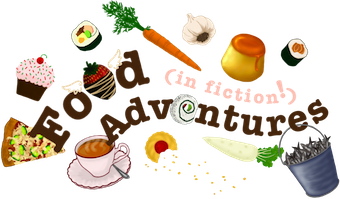 What food would you associate with your book? An appetizer served during the diplomatic dinner Prince Kai has with Queen Levana in Cinder. Check out this cooking video Marissa did for the Apocalypsies blog! * Lemonhead Candies: That's how Emma gets Gaylen to up-chuck in Of Poseidon. Lemonheads were a big part of my launch party. Here's a recipe for Lemonead Cookies! There's a ton of food in my book! * Rye & Herring: Inspired by the last tzar. It was a peasant breakfast. It's a pivotal food in Shadow and Bone. Click here for a Pickled Herring & Rye recipe. * Burnt Swan w/ Saffron: During my research, I came across some weird foods that the Russian nobles ate, like burnt swan. It's in the book, but I added saffron to it. Here's a translated medieval recipe for swan, Roasted Swan with Chaudon. (from eNotes, Russia) "The wealthy indulged in feasts that lasted for hours. Pickled or salted beef, ham, suckling pig, elk, boar, lamb, and rabbit all appeared on the table. Swan was considered the most luxurious of birds, although the wealthy also enjoyed crane, heron, black grouse, hazel hen, partridge, lark, goose, duck, and chicken. Veal was rarely consumed, and the Russian Orthodox Church forbade eating doves, since the birds symbolized the Holy Spirit. Hot and cold soups, noodle dishes, roasts, and sauces were seasoned with onion, garlic, pepper, saffron, and sometimes savory. The combination of sweet and sour so typical of medieval foods throughout Europe was especially compatible with Russian tastes. Rich, dark swan meat was often served with vinegar or a combination of sour milk, pickles, and prunes." Swan meat is also mentioned in the Russian fairy tale, "The Frog Princess". Visit the "Recipes from Ravka" page on Leigh's blog! They're running out of food in my book. * Oatmeal Cookies on a beach. Here's an oatmeal cookie recipe for you to try. There's a ton of food in the Greenway that they are locked into. * Twinkies: Because they last forever. Exactly. That's why the T.W.I.N.K.I.E.S. Project was created. The anachronism stands for Tests With Inorganic Noxious Kakes In Extreme Situations. Here's a site that shows how to make several kinds of stuffed pancakes. Like pancake quesadillas! Fun extras from these authors! Download the FREE official Fierce Reads tour song, "Turning the Page" by Jessica Drake! All of the stories listed below are also available for FREE in the Fierce Reads short story eBook anthology! And here's the one that I made a little while ago. 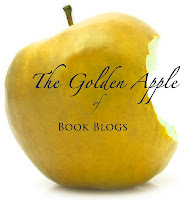 * Book Trailer: Made by Jennifer's talented husband! 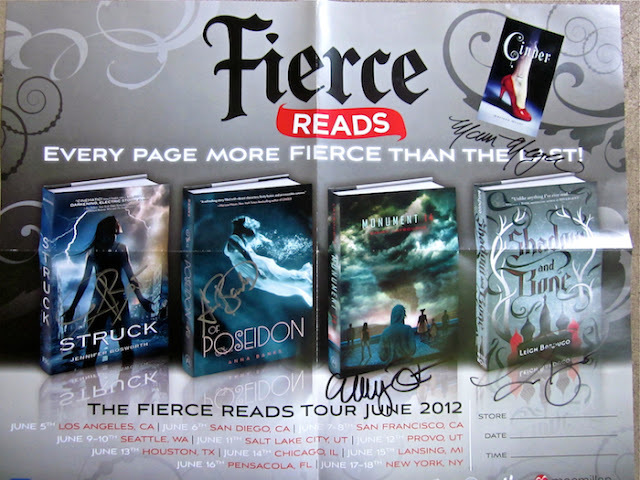 Please fill in the form below for a chance to win an autographed copy of the official Fierce Reads poster & 5 corresponding bookmarks! That's FIVE autographs from five great YA, debut authors! I really want to read Struck. Struck & Of Poseidon book look nice. I'd like to read them all. I am most looking forward to Shadow and Bone. I have read Shadow and Bone(so amazing that it left me speechless) and Cinder(great retelling of Cinderella with cyborgs and crazy moon people!). Most excited to read next is Of Poseidon. I'm also excited to read Siege and Storm (Grisha Trilogy #2) even though Shadow and Bone just came out. 2013 cannot come fast enough.